A soda can is stronger than it looks. As you can see from this picture, even an empty can is strong enough to support the weight of an adult. That is because the shape of a can (a cylinder) is a strong shape. It is strong because it is round. If a can was a square column it would have weak points along the corners. 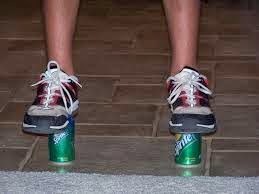 Go ahead and stand on the empty soda can. It should easily hold your weight as long as the sides are smooth and straight. Push in the sides of the can with your fingers and try to stand on it. Now, you should be able to crush the can easily. When you pushed in the sides of the can, even a little bit, you made a shape different from a cylinder and you took away its strength. When we are strong in the Lord it is because of the faith God has given us. There are two ways to grow faith: through Word and Sacrament. When you were Baptized God named you as His child and the Spirit made your faith grow. Read, hear, study, say, or sing God’s Word and the Spirit uses the Word to make your faith grow. Don’t let the problems of this world crush you. Find time each day to read God’s word. God’s Spirit will work in you to make your faith strong. You will be strong in the Lord! 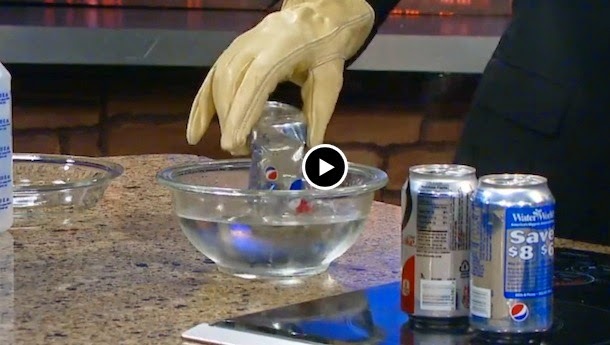 Here is another cool can crushing experiment to do with your parents.